It's Siblings Day, 'a day to honor, celebrate and memorialize all brothers and sisters, and the bond that is forever a special gift,' according to the Siblings Day Foundation. Though it's not a federal holiday in the US, 49 states have issued proclamations recognizing Siblings Day (come on, California!). Relationships between siblings can, of course, be complicated, whether you're looking as far back as Cain and Abel or as recently as the Kardashians' latest spat. But siblings also share a unique bond. 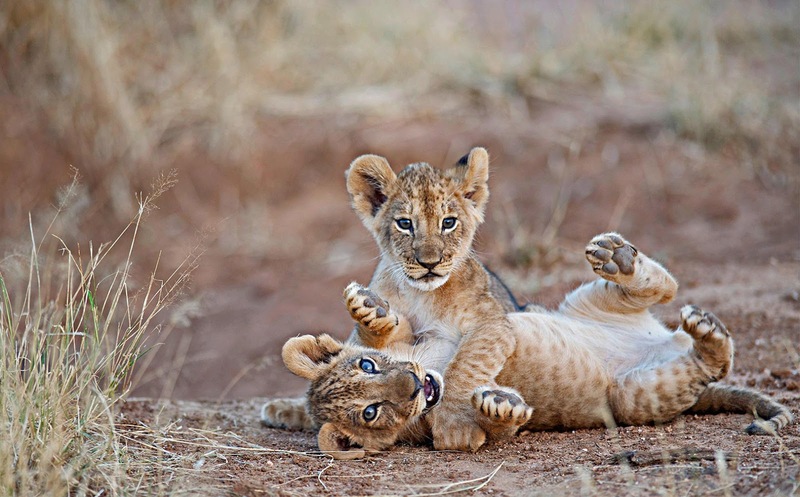 These male lion cubs in Kenya's Samburu National Reserve embody both sides of the relationship as they playfully wrestle. Chasing and tackling each other, they're also developing strength, coordination, and mental and social skills—just like you and your siblings might have.